Low Altitude Lake with beautiful setting. Panoramic view of Himalayan Range. 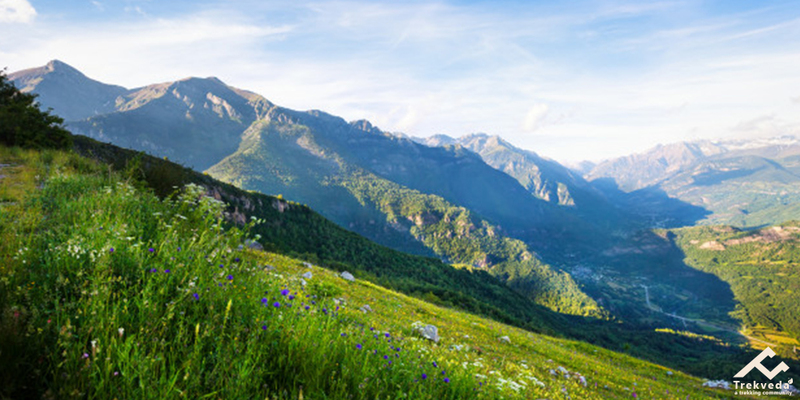 Snow-capped mountains, sprawling meadows and a stretch of welcoming wildflower throughout the way look so beautiful. As surreal it might sound but the trek to Dayara Bugyal is none less than something out of a fairy tale. Amongst all the treks, this trek is one of the most undiscovered, unexplored and untraveled treks in the Himalayas. People who want to spend their weekends relaxing and tranquilize in the lap of the Himalayas away from the hustle bustle of the city are the one belong to this journey. ‘Bugyals’ refers to the meadows in high altitude. In these ‘pasture land’ and ‘Bugyals’ shepherds from far have been taking their flocks to graze at Dayara for hundreds of years. There is no such time as ‘best time’ for Dayara Bugyal trek as the place is beautiful throughout the year. The carpet of enthralling green grass and ravishing blossom flowers turn this destination in a paradise, the place transform colors from luxuriant green to rusty brown till November and to white in December when the surface of Bugyals looks marvelous in every step you are counting. Dayara Bugyals along with its twin Gidara Bugyals is undoubtedly one of the most beautiful alpine meadows in India. The grassland spreads to the panoramic view of the Himalayas and the sunrays striking the towering mountain ranges, majestic alpine views and a series of unending wonders on the way will keep you enchanted throughout the journey. Dayara Bugyal is just not all about the alluring summers but astonish winters as well. The white blanket of snow all over the gigantic mountain ranges and green meadows turns this place into a winter wonderland. One who has an experience of trekking can do it quite easy and it isn’t even hard for the first timers but can get little tiring while trekking, though anybody with a decent fitness can trek to Dayara Bugyal and this could be the most magnificent and incredible journey for the trekkers. Yes, the trek is favorable for children’s up to 5 years of age but there are certain additional logistical support that we recommend for children’s. Yes, this is the first Himalayan trek, we recommend for those who have a less or no prior experience in trekking , this trek does not have tricky patches, and a well planned itinerary will not making it tiring and uncomfortable for you to trek. One can attain a maximum altitude of 10,000-12,500 ft subject to his endurance and other conditions such as a climate, temperature. The trek brings us to the higher land meadows and the lush green grassland serves as an excellent destination for skiing during winters and is spread over 28sq km. The trek lasts for 4 days including pickup and return, if it is booked with us. Certain information to take care is mention below related to the per day trekking hours. First day: Dehradun to Barsu – (7545 Ft.) 220 Km, 6- 7 hrs. Second day: Barsu to Dayara Bugyal- (11600 Ft.) 8-9 kms, 6-7 hrs trek. Third day: Dayara Bugyal to Dayara Top - (12000 Ft.), 2-3 hrs trek to reach the top. Fourth day: Dayara Bugyal to Raithal take 2 hrs and from Raithal to Dehradun/Rishikesh 5-6 hrs. Season! no worries, when it’s a journey to Dayara Bugyal, A trek to this admirable destination can be planned at any time during the year, whereas in winters this resplendent destination is always wrapped into the blanket of snow and it is the most recommended treks for first-timers. What makes Dayara Bugyal trek different from other treks in the Himalayas is the breathtakingly beautiful alpine views bringing peace to your mind and soul. Situated at a height of 3048, The trek is a host for some attractive natural sights which is a visual delight for tourists. Each step you take will bring up something beautiful and picturesque like you’ve never seen before. Dayara Bugyal summer trek is all about the forests of pine and maple trees standing tall and the sunlight shining through the leaves will bring all your imagination to life. As soon as the forest ends, you will be mesmerized by the verdant charm stretched as far as your eyes can see. Whether it’s an early morning or late evening, the monumental views of mountains and meadows will upscale your trekking experience. Dayara Bugyal trek in winter will transcend your trekking experience. As in December, the place experiences heavy snowfall and the verdant charm is completely covered with a white layer of snow which makes it the best time for skiing. The beautiful sunrise, sound of streams, dense forest, meadows, snow-capped mountains and picturesque landscapes along the way will make your trekking experience more memorable. Barsu, a village in Uttarkashi situated very close to gangotri dham is well known for its amidst scenic surroundings, is the base camp as the Dayara Bugyal trek route is via Barsu. It takes around 8-9 hrs to get there so we will leave early. The daraya bugyal trek is around 8-9 kms from the village barsu. 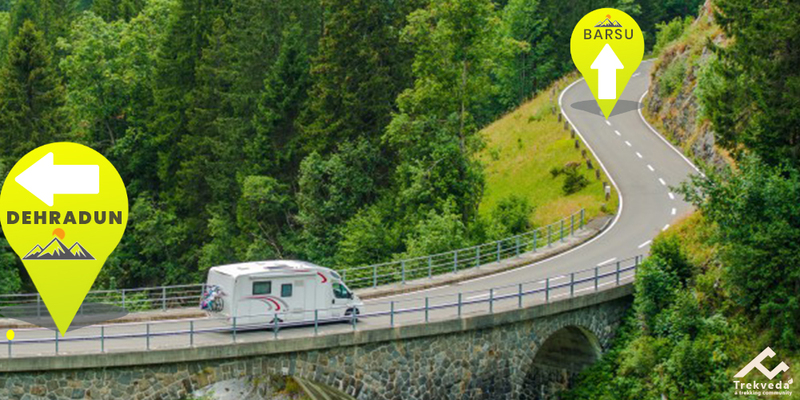 You will be travelling to barsu via rishikesh, Chamba which is approximately 180 Kms from dehradun. The journey to Barsu itself will give you an idea of how prodigious your overall experience is going to be. As we go from plains to the hills, you will witness a change in the surroundings, the cool breeze brushing against the skin, fresh air, clean surroundings, greenery and the sound of water rushing down the Bhagirathi River flowing alongside. There is an overnight stay at visitor house in Barsu Village where you can relax and prepare for the coming day. Trek Gradient: Easy to moderate level climb, there are few stiff climb sections in between. Water Sources: None. Carry 2 liters of water. NOW! All SET TO TREK? The first phase of trekking begins from Barsu and ends at Dayara Bugyal. The distance of the trek to dayara bugyal is approximately 9 km. As soon as you hit the trekking trail, you will feel the slow and steady increase in the altitude. As you follow the trail, you will be passing through the open fields present near the villages and moving further; you will head into the woods. The trees you will commonly find in the forests are Rhododendrons, timberland front of Silver Oaks and Deodar. As you move forward, you will find open field of grassy lands with tiny wildflowers throughout the way. This trek from Barsu to Dayara Bugyal is not a difficult one and can be completed soon. 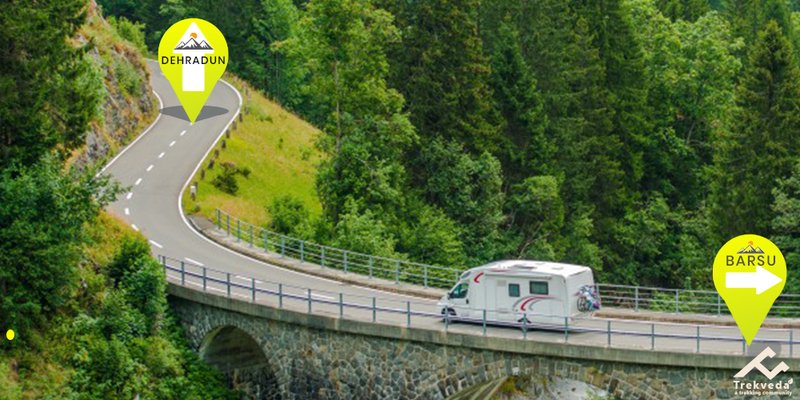 You can spend the rest of the day as you like and get back to the campsite in the afternoon. Trek Time: 2-3 hrs to reach the top. "EVERY DAY STARTS WITH A NEW ADVENTURE AND THAT’S WHAT WE CALL LIFE." Get up, have your breakfast and get ready to witness the beauty of nature like never before. Moving forward you will trek to the highest point mentioned above i.e. “Dayara Top”, you will reach the highest point in about 2-3 hrs. Once you reach the top point you can breathe and bask in the beauty of nature. Exploring the highest grounds of dayara makes this the most thrilling day of the trek. The first proper view of bandrapoonch range is the special one, take a deep breath and look around, enjoy the 180 degree view of mountains. Time Taken: 2 hrs to Raithal and 5-6 hrs drive to Dehradun/Rishikesh. "LIFE IS A CRICLE: END OF ONE JOURNEY IS THE BEGNNING OF THE NEXT." 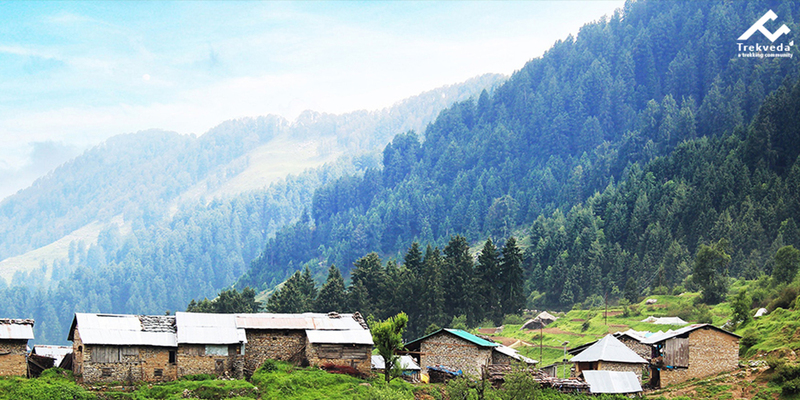 Since it’s your last day on the trek, Pack your bags and get ready to get back to Raithal. As the way back is easy you can relax and stroll down the path which would take about 2-3 hrs. If your return transport is booked with us, we will drop you back to Dehradun. It will take a total time 6-7 hrs to reach Dehradun. Dayara Bugyal is a breathtaking place with alpine view which fills your mind and soul with serenity Situated at a height of 3048m, it’s an amazing beauty would leave you awestruck! If once you have witnessed it thoroughly, Dayara Bugyal portrays the mother nature in such a way that if wanderlust runs inside your veins then this trek must be in your bucket list, it consist of attractive natural sights which is a visual delight for tourists. Dayara Bugyal serene beauty leaves such an imprint, on each step you will witness something beautiful and picturesque like you’ve never seen before and once you are on the top your eyes will spot the most splendid view ever. Dayara Bugyal trek is a mash up of pine forests and maple trees standing tall and the sunlight sparkling through the leaves will bring all your imagination to life. As soon as the forest ends, you will be mesmerized by the verdant charm stretched as far as your eyes can see. Whether it’s an early morning or late evening, the monumental views of mountains and meadows will upscale your trekking experience, trek is marked by a rich carpet of wildflowers and dense forests of maple and oak fenced by misty valley. 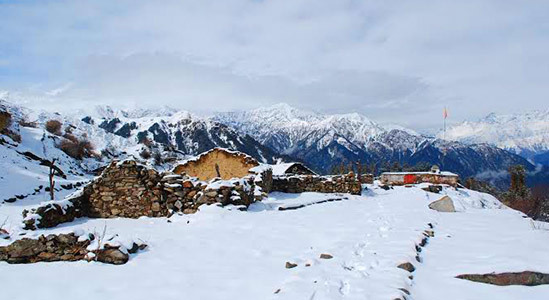 Dayara Bugyal trek in winters will transcend your trekking experience. 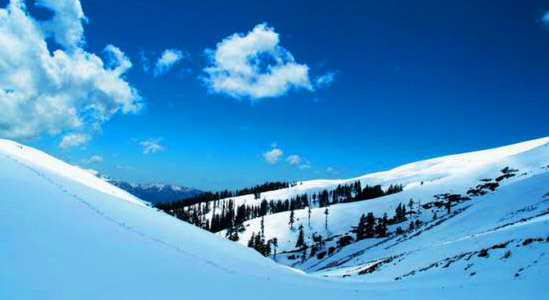 As in December, the place experiences heavy snowfall and the verdant meadows are completely covered with a white layer of snow which makes it the best time for skiing, the beautiful sunrise, sound of streams, dense forest, meadows, snow-capped mountains and picturesque landscapes along the way will make your trekking experience more memorable. In winters snowfalls over Dayara Bugyal unfolds the magic of Mother Nature when delightful green meadows turn into a beautiful carpet of unending white. Getting to Dayara from your camp at Gui is a delight. The forest floor has dollops of snow everywhere. Your feet crunch over snow as you climbs to Dayara, only to find a towering at Bandar poonch lording over the white meadows. The entire winter trek to Dayara is very different from what it is in any other season. It is a new trek with a new experience. Dayara Bugyal stands as a complete experience of great campsites, great forests, great trails and astounding mountain views. It is Also the least crowded among other treks. Dayara is perfect for those who are trekking for the first time and can be a good experience for them too. It is nothing less than a miraculous feeling to be surrounded by lush green spaces, streams and tracks, having wide majestic mountains in the backdrop. This remarkable beauty is enough to get the hearts of trekkers lost in this nature. This northern part of India is blessed with beauty that is amazing and do not just have picturesque backdrops, but also provides the best trekking experience that one can never forget, trek to this beautiful wonder starts from the foothill town of Uttarkashi, it is also the starting point of many pilgrimage treks, way to Uttarkashi is not to difficult it passes through the road from major cities of Uttarakhand such as Rishikesh, Haridwar and Dehradun. The hike to the mesmerizing Darya Bugyal is about 15 kilometers long, and would take you to witness some of the most beautiful and untouched parts of nature. Bugyal is in fact a meadow situated on a high altitude, a beautiful lake overlooking a wide region of lush green pastures awaits trekkers as they drive towards Uttatrakashi, The backdrop to this exquisite natural meadow comprises of some mighty Himalyan peaks. Dayara Bugyal is the most spectacular meadows in India. Also "BUGYAL" in local dialect is known as "High Altitude Meadows”. Among all the treks in Uttrakhand, Dayara Bugyal is the most beautiful and breathtaking because of the beautiful grasslands. This trek has a unique charm because of the unmatched beauty of the mighty Himalayas and it is a most popular and beautiful trekking routes for people who wanted to trek in Uttarakhand. Many travelers have described it as a fairy tale which takes the trekkers to the panoramic open lands through thick forests, ending to a huge lush green meadow. Trekking is one of the most thrilling adventure one could ever have in their life. With an elegance of nature and unmatchable experience of the pristine mountain ranges, trekking stands out among all the adventures across the world, but nothing comes free; there are certain aspects of the trekking which one needs to consider while they are making up their mind for trekking. 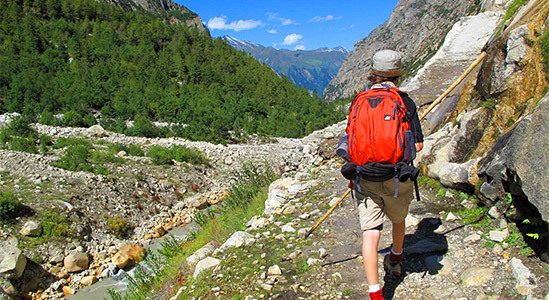 Here’s a list of some basic requirements which one would need during their camp trekking. Let’s pay some heed to these prerequisites for trekking. Clothing is one of the most important aspect of trekking but that doesn’t imply the “what if situation”, hence carry the clothes that you’d need normally. Carrying more and more clothes will only add the weight, thus problem. Once you are on the way to trek then you don’t need to change your cloths every now and then so make you’re your cloths will remain clean. Three collared Shirts: It’s advised to wear full sleeved shirts instead of the t-shirts in order to prevent you from the sun-burn. Carrying a dry-fit t-shirt or two can be a wise idea if you’re trekking during the rainy season. Regardless of the cold weather, trekkers’ bodies tend to sweat and to prevent yourself from falling ill, you’re advised to change your clothes at campsites. Trekking pole: Having a trekking pole in your hand during the trek is boon, although at times it may bother you as an unnecessary article but it proves out most handy during the summit as it curbs your effort of straight inclinations of the high altitudes which often turns out tiring. 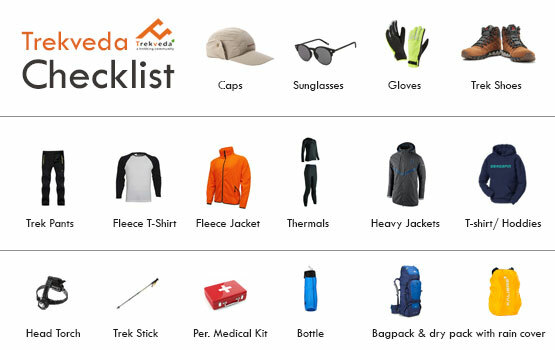 There are certain rules and laws that you need to abide by, while going for the treks, however Trekveda takes care of all such kind paper works which is inclusive in the package. Certain registration fees and document verification along with some permission are required in order to protect the nature and its evergreen heritage for future. In addition to this, if you need to avail a guide, you can also hire a guide with some bucks and a nominal paper work. Monitoring the health is one thing that is conducted regularly during the trek by the trek leaders which includes the monitoring of your blood pressure, oxygen level and pulse rate. Details of your health during the trek are maintained in the health card on the regular basis. Health card can be collected from the trek leader at the end of the trek. What Trekveda offers in case of medical emergency? In case of medical emergencies, Trekveda and its trek leaders bear the sole responsibility to get you back to your wellbeing with their training and techniques. If you Suspect any physiological disturbance in your body, immediately report to your trek leader as they are trained to counter such problems. Another vital area of improvement, you need to work upon. Before you head to the trek, you need to have the physical strength in order to carry backpacks on the uneven terrains. Considering everything under the sun, you ought to prepare yourself for the core strength. Strength would be make you suffer less than others who’d not pay the heed. Flexibility in the body is what the trekking demands the most. Carrying the backpacks without flexibility in your hamstrings, quadriceps, shoulder, lateral sides etc. can prove out to be fatal. More the muscles relaxed, easier would be your trekking experience. Carrying a heavy backpack can bring you the unnecessary pain which may spoil your entire trek. To pacify you or any other companion, yoga and meditation is the key. These practices not only give you the mental peace but also provide you with a placid inner conscience which is extremely important in order to withstand the cons during the trek. The trek expense of Rs. 5,999 + 5% GST takes care of all expenses of the trek from Barsu to Raithal. Backpack offloading charges - If you wish to offload your backpack, there will be an additional charge of Rs. 900 + 5% GST. The backpack cannot weigh more than 9 kgs. Suitcases/strollers/duffel bags will not be allowed. Please note that charges will vary for last minute offloading in case you decide to offload your bag after reaching the basecamp (Rs. 1050 + 5% GST). Online offloading in advance is possible up to two days prior to the trek start date. Buffer day – It is mandatory to have this extra day as any bad weather or rain will delay your pass crossing. If buffer day is utilized, you will need to pay Rs. 1,600 + 5% GST. This amount is to be handed over to your trek leader.